Google Music Search Engine for India is Now Live! 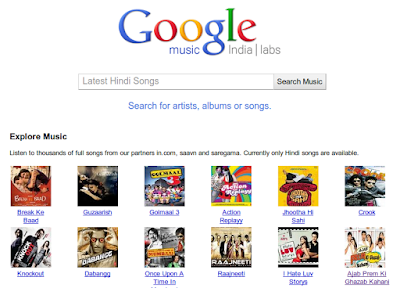 Google India today announced the release of a new music search engine specifically for India. 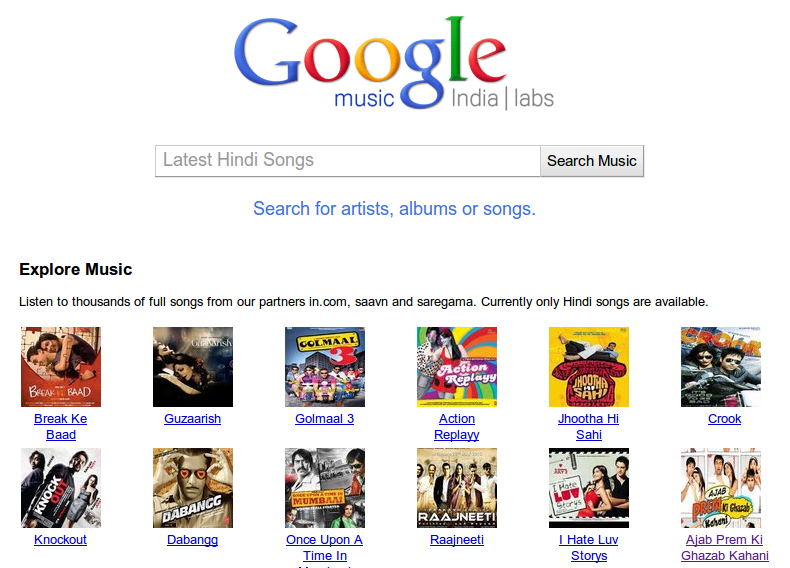 Google adds that the new music search is still very much in the testing phases and will contain only Bollywood songs. Visit Google Music Search and browse through the hundreds of hindi songs available for free listening. There is no option for downloading or purchasing any songs as yet. But when similar services were started by Google in other countries like US, its constituted only song previews. But here, you can listen to full songs instead which is welcome. Besides this, when you enter any music-related query at normal Google Search, your search results will provide you a single click access to your songs. You can stream these songs unlimited number of times on your computer.